The Disc Jockey is the person responsible for playing the music during your event. Working closely with the Emcee, the DJ plays music catered to your style and requests. Our DJs have been hand-selected by Brad Blumenthal and have performed at thousands of events and night-clubs both locally and internationally. Our DJs never come with a set playlist for your party – in fact they come prepared with a music collection that exceeds 45,000 songs – guaranteeing that your event takes on a personality of its own. 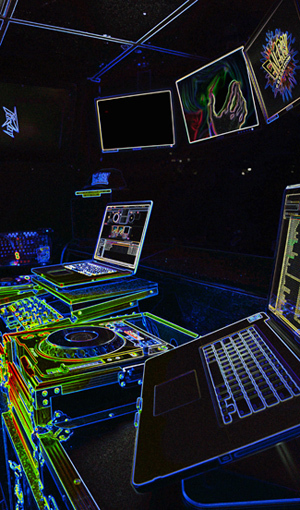 Yes, our DJs will accommodate specific requests at your event! Though our DJs have held residencies and guest spots at nightclubs across the world, it is important to note that they do not treat your event like a bar –unless you specifically request them to. While their performances at bars & clubs have led them to superior mixing techniques and amazing ability to read the dance floor, they also have the knowledge and experience to know what is appropriate for distinctly different audiences. The music played at Energy events is always clean. There will be no dirty lyrics at your event and similarly all music must be age appropriate. If a song’s lyrics or content is not suitable for the radio, it will not be played at your child’s event –unless you specifically request or approve it.